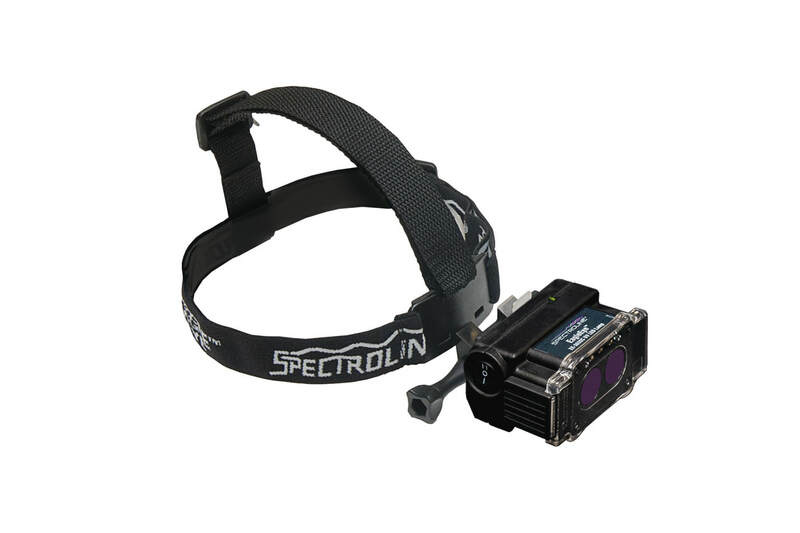 The EagleEye™ 365 Kit features the rechargeable, cool-running EagleEye™ 365 inspection headlamp. It is engineered with two high-quality UV-A (365 nm) LEDs for inspection, plus a three-LED white light assembly for general illumination. An adjustable strap allows the lamp to be worn on a hard hat or directly on the head. A unique lamp mount/sprayer attachment permits the lamp and a spray can to be used together for convenient, single-handed fluorescent yoke inspection. A serialized Certificate of Conformance to ASTM E3022-15 is supplied with every EK-3000SC kit.